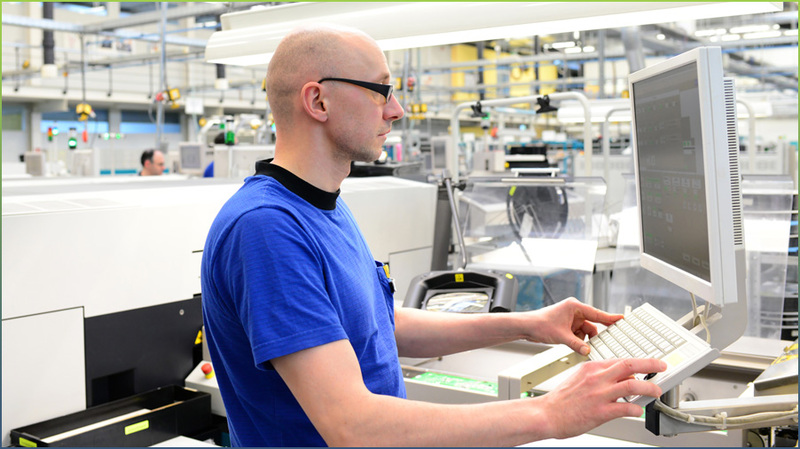 When it comes to the Manufacturing Industry, we understand their ultimate need for reliable 24/7/365 IT Support Services that are conducive to an on-going and consistently productive environment. We are equipped to manage, maintain, and protect the hardware and software that is utilized for your Houston manufacturing company or plant facility. Manufacturers quickly learn that our philosophy is to offer a very proactive quality of service, rather than reactive; moreover, we are extremely personable and enjoy keeping companies abreast of their progress. Our mission is to remain “Customer Service Driven”, in efforts to help manufacturers keep their businesses running as efficiently as possible. Since manufacturing companies usually operate on a fixed-cost basis, Bluewire’s MSS (Managed Services & Support) package is ideal for most companies in the Manufacturing Industry sector. Manufacturers primarily know exactly what their budgets will allow, and what they need to spend on IT Support at least over a 3-year span. Consulting – Bluewire offers end-to-end technology consulting strategies for IT operational process assessment and development, infrastructure migration and expansion planning, networked systems security planning, application integration planning, and Internet presence development. Discuss your needs and plans with one of our IT experts, and learn about a variety of available service options to help determine which will be best for your company. We take pride in working closely with manufacturers to help provide the best possible cost-effective solution for their particular type of facility. Cloud Hosting – We design and maintain the best solutions for manufacturers. Our rapidly scalable solution, configured with backup and disaster recovery (BDR) capabilities typically lowers data storage/BDR costs. Backup & Disaster Recovery – Let us evaluate your networking and storage alternatives and deliver a comprehensive Backup and Disaster Recovery plan. Bluewire’s Datacenter is In-House; this allows us the ability to consider backup solutions and timely recovery solutions. From simple file recovery to site-level recovery, we carefully plan deployment, cloud storage, and monitoring services. Remote Infrastructure Monitoring & Management – Our monitoring and management tools rapidly identify the status of every device, network connection, and backup capability. We utilize these tools to alert you of the problem, as well as to solve the problem. Look no further than Bluewire! If you need to upgrade your current IT services, or implement new services, contact us today by phone at 832-699-9950, or send us an email inquiry at info@camsbluewiretech.com to setup an appointment. We would love the opportunity to talk more about how we can help your manufacturing facility manage the kind of IT Support services that you will need. We are also happy to provide references from other manufacturing companies that we serve. Call Today!